Just a warning. Self-promotion below. We're going to talk political infrastructure. Democrats in North Carolina have got "a ton of energy," says Raleigh-based Democratic strategist Morgan Jackson. They'll need it in 2018. They've got a heavy lift if they expect by 2021 to regain control of redistricting from the Republican super-majorities in both houses of the state legislature. Republicans gained control of both state houses in 2010 for the first time since Reconstruction and earned veto-proof majorities in 2012 even though Obama was back on the ballot — using districts drawn in 2011 that, as Democrats point out often, have been declared illegal by the U.S. Supreme Court. Obama lost the state by two percentage points in 2012, and Republican Donald Trump won the battleground state by 3.6 percentage points in 2016. Gov. Roy Cooper launched his “Break the Majority” campaign earlier this month, announcing that he’s raised more than $1 million for the effort to win enough state legislative seats to uphold his vetoes. Democrats would need to gain three seats in the House or six seats in the Senate to break the Republican super-majorities that allow them to override Cooper’s vetoes. [State Democratic Party Chair Wayne] Goodwin said hundreds of potential candidates have contacted the party about running themselves for the state legislature or promoting another person to run. The state must redraw its legislative map after the U.S. Supreme Court ruled that 28 districts were illegal racially gerrymandered. The new maps will be used in the 2018 election, but have yet to be made public. With Republicans dragging their feet on court-ordered redrawing of state district maps, Democrats are still unsure how to deploy their 2018 resources. That's no accident. The Voter Participation Center predicted that 1.7 million fewer voters will participate in North Carolina’s 2018 election than voted in the 2016 – with 1.1 million of them being unmarried women, people of color and millennials, what the center deems the “rising American electorate (RAE).” The Voter Participation Center is a group that wants to increase civic engagement among those Americans. Off-year mobilization is tough anytime. But while Democrats still have a statewide registration edge, unaffiliated voter registration is spiking. Getting voters to turn out will be especially challenging in 2018 because there will be no national or statewide races in North Carolina. Neither U.S. Senate seat is on the ballot in 2018. Congressional races will be the top of the ticket in the state's 13 famously gerrymandered districts. Republicans hold 10 out of the 13 seats. Fair redistricting in 2021 could make the rest more competitive for Democrats. But that means winning very local state House and Senate races to which many voters pay little attention. Winning U.S. House seats here may help Democrats in Washington, but it won't do much for us in North Carolina unless those districts overlap state House and Senate seats where Democrats can field competitive candidates who might benefit from coattails. Not to take away from the governor's fundraising, but Cooper's field plan will likely derive from his (barely) successful statewide strategy in 2016. Getting volunteers and voters off their couches statewide will be a real trick, Trump or no Trump. Democrats prone to focusing globally on national and statewide races struggle when it is time to focus granularly on smaller districts. In rural ones where many legislative districts lie, county teams can be less experienced at campaign tech. And because the focus is always on short-term wins, there are never resources for longer-term infrastructure building. As the saying goes, there's never time to do it right, but always time to do it over. It is a perennial complaint in progressive circles that Democrats slack sufficient infrastructure for winning independent of having rock-star candidates to draw interest, donations and volunteers. It's true. When a Barack Obama comes along with limitless money and boisterous volunteers, Democrats are hard to beat. The problem, however, is that campaign infrastructure appears overnight and disappears just as quickly when campaigns pull up stakes. 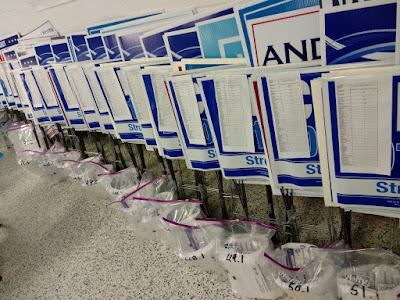 If they show up at all where you live, state and national campaign teams expect to call the shots, leave little behind except unused office supplies, and state parties (as best I can tell) focus on immediate get-out-the-vote needs only, and then primarily in cities where the largest blocks of blue votes are. In 2-4 years, we start again from scratch. 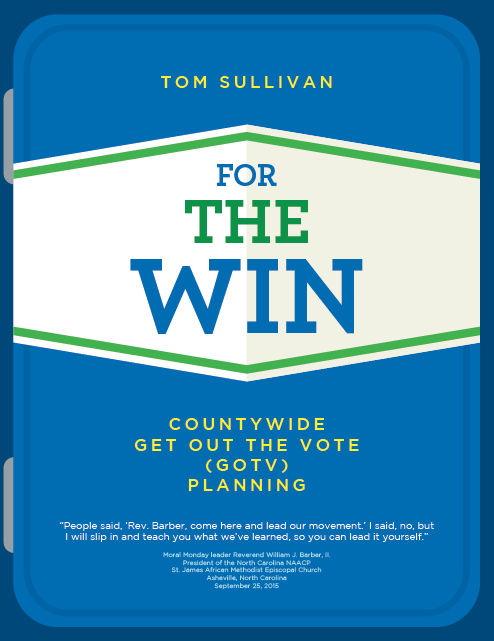 Rural counties where big campaigns don't go are left to fend for themselves with little direction except in organizing precincts and pulling walk/phone lists. You'd go blue in the face holding your breath waiting for the cavalry to arrive with additional resources. And those places are where the state House and Senate seats are that Democrats need to win to flip state legislatures across the country. Our county has the only Democratic state representatives and state senator west of Charlotte. What has made our county successful is having local infrastructure that persists beyond Election Day. We built a progressive team. We have a plan. We know our jobs. We train our replacements. When one leadership team ages out, the next is ready to go. Know-how isn’t lost when the old team steps aside (and we do) to make room for younger blood. That inspires confidence in both volunteers and donors. Volunteers persist year-round here. When vans rolled in here last fall from Nashville and Memphis the weekend ahead of the election, Tennessee vols said they'd never seen anything like it. Not the first time I've heard that. 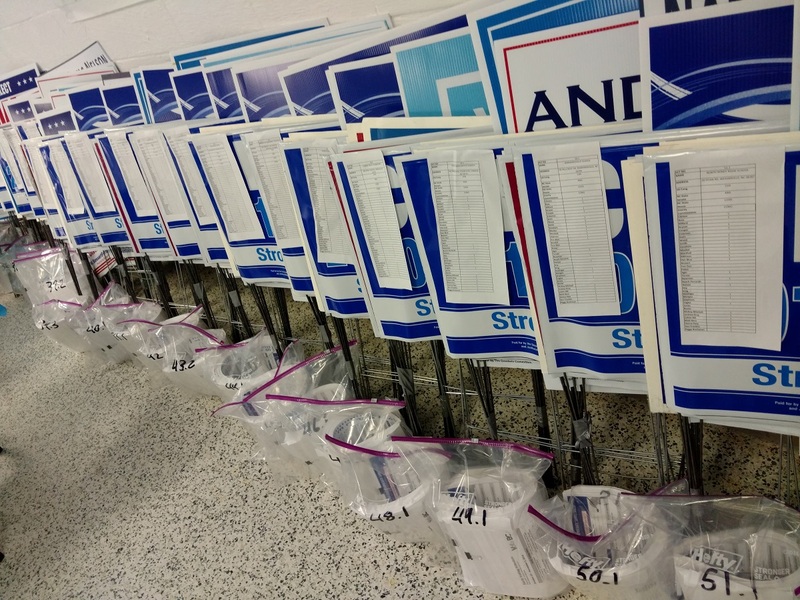 We build experience with each election cycle. That make ours a formidable organization. To win here, we don't need marching orders from national campaigns that parachute in every four years. We sit them down and tell them how we expect them to work with us to elect their candidates and ours further down-ticket. Imagine if every county in every state had that permanent foundation.